Quantifying the geographical extent, location and spatial dynamics of croplands and rural settlements provides essential information for managing our food production systems and their socio-economic, health, environmental, and ecological impacts. We have been working on an approach for mapping, and potentially monitoring, the spatial distribution of Africa’s cropland biome and its associated rural settlements. 1.) We use low cost, “crowdsourced” cropland and rural settlement presence-absence observations that are interpretable from high-resolution satellite images with a web-based application called GeoSurvey. Check it out and help by registering on the site and completing some of the currently active surveys. 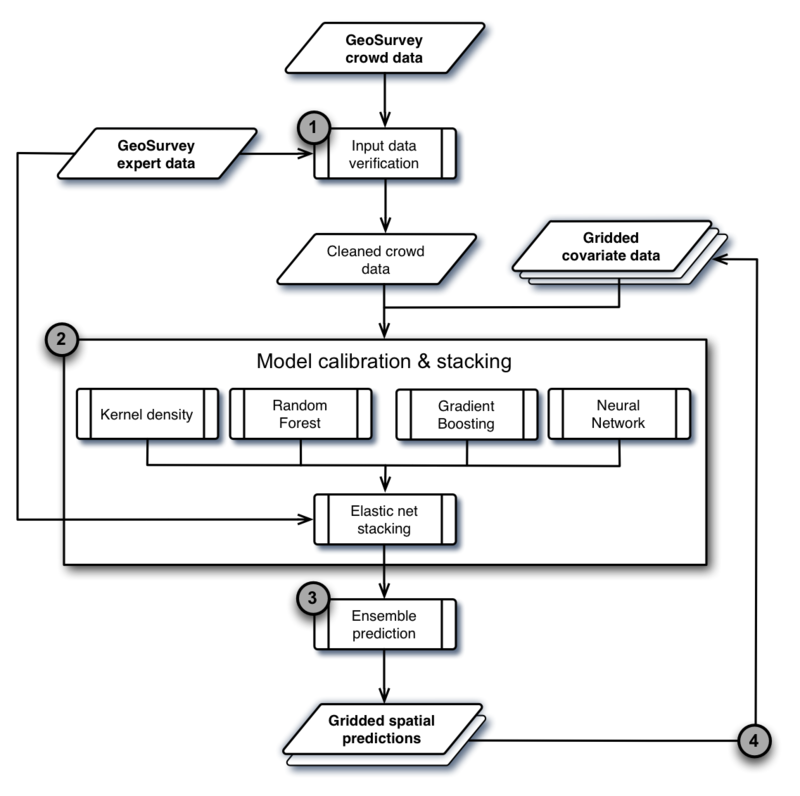 GeoSurvey process in 3 steps. 2.) 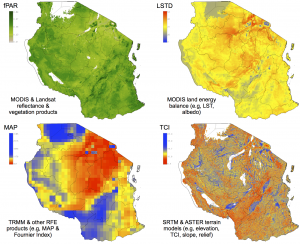 We provide current Africa-wide remote sensing and (gridded) GIS covariate data that are regularly updated from open sources. 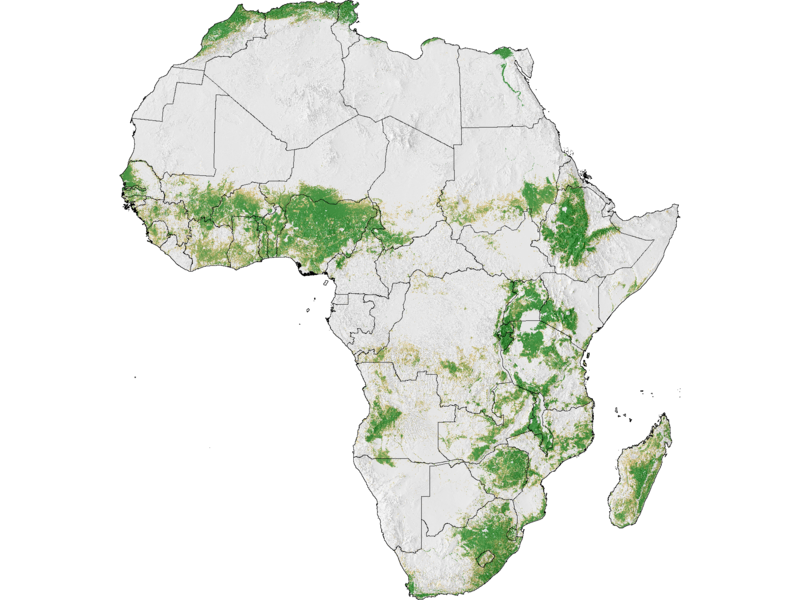 You can download all of the covariate grids for Africa at: ftp://africagrids.net. 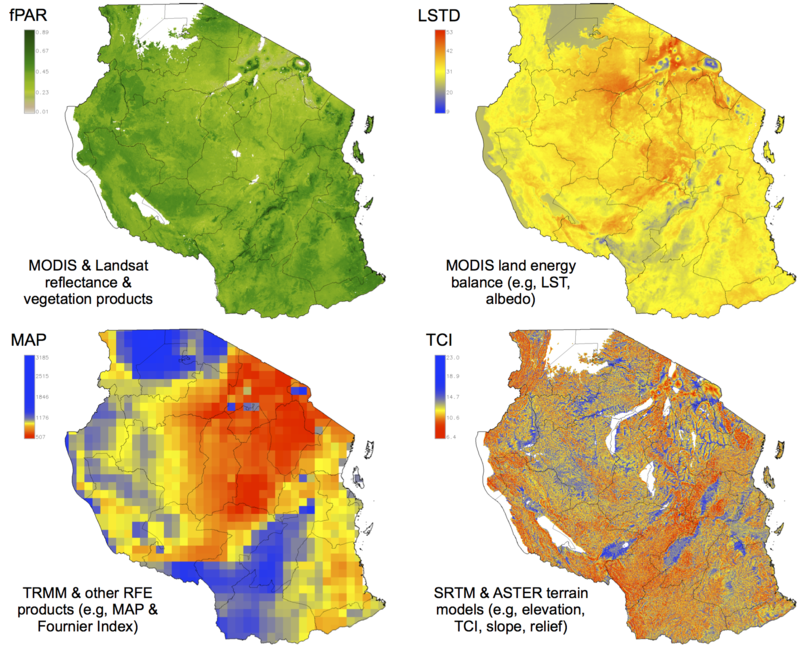 Example remote sensing covariates from Tanzania. 3.) 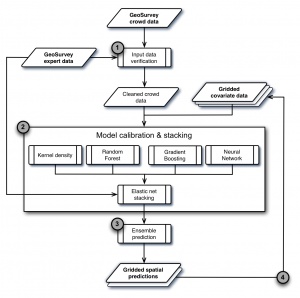 We model the resulting cropland and rural settlement presence-absence data with the gridded covariates using ensembles of machine learning algorithms to generate cropland and rural settlement probability and classification maps. The workflow diagram below summarizes the main steps. 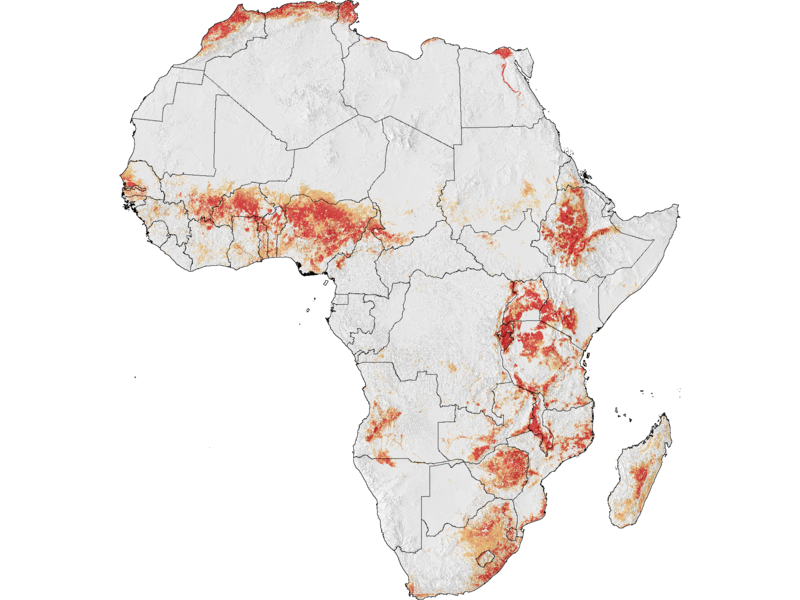 To illustrate the potential of the approach, we conducted a randomized 1 million quadrat GeoSurvey covering the photosynthetically active area of Africa (~19.8 M km2). The survey was completed over a period of 28 days, at a cost of ~900 U$ per GeoSurvey day. 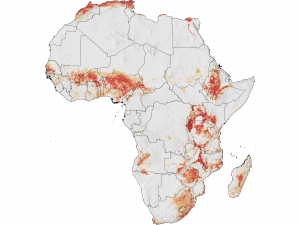 Ensemble model probabilities of the occurrence of croplands in Africa. Ensemble model probabilities of the occurrence of buildings/rural settlements in Africa. Our initial results indicate very good to excellent predictions for 3 independently generated expert data sets, as judged by their respective receiver-operator characteristics. We hope to post all of the code at Github and map results over the next month or so. Very interesting work. Is there some publication or more information on the methods? Is the trainign data from geosurvey available? 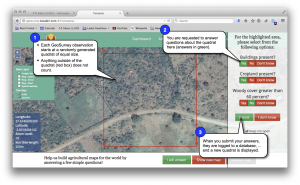 I’m workign for WUR CGI and currently on LC mapping for Africa, and would be happz about cooperations. Thank you for your interest in Geosurvey. Yes, the input data are available. An R script for generating input screened data is at: https://github.com/mgwalsh/Geosurvey/blob/master/GS_input_screening.R. Feel free to fork that. It contains the needed data downloads. Let me know if you have any problems with that. An article about how we predicted cropland and rural settlement distributions will be forthcoming in the near future.